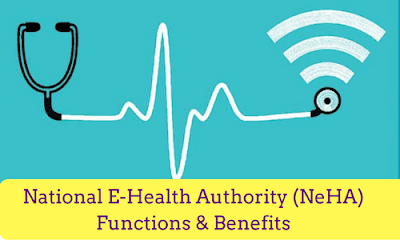 Recently the Government has announced the setting up a National e-Health Authority (NeHA) for the promotion of e-Health standards by the Ministry of Health and Family Welfare. The National Knowledge Commission (NKC) had recommended in 2008 about the formation of National Health Information Authority (NHIA) to support implementation on e-health. High Level Expert Group (HLEG) set up by planning commission in the background of 12th five year (2012-2017) had suggested Health Education Research (HER) & setting up a nationwide network to support the same. They had done so as part of proposing Universal Health Coverage. ‘Digital India’ Program had been announced on Aug-2014 & a set of on line health care services are scheduled to be offered. It will be the nodal authority that will be liable for progress of an integrated Health Information system in India. It will also be responsible for imposing the laws & regulations linking to the privacy & security of the patient’s health information & records. NeHA will be setup through an appropriate legislation. The Chairman will be a well-known person in the field of Medicine, Public Health or Judiciary. To guide the implementation of e-health solutions at various levels & areas in a manner that meaningful aggregation of health & governance data & storage/ exchange of electronic health records happens at different levels in a cost-effective method. To enable integration of multiple health IT systems through health information exchanges. To supervise systematic development of state wide & nationwide electronic health record store/exchange system that safeguards security, confidentiality & privacy of patient data & continuity of care. To engage with shareholders through various means so that e-health plans are adopted & other policy, regulatory & legal provisions are implemented by both the public & private sector shareholders. To sponsor the setting up of state health records storehouses & health information exchanges. To address the problems related to privacy & confidentiality of patients’ Electronic Health Record (EHR) in the legislation. Better manage care for patients by providing precise, up-to-date & complete information about patients at the point of care. Access of patient records quickly for more coordinated, efficient care. Share electronic information securely with patients & other clinicians. Reduced cost through less paperwork, improved safety, reduced duplication of testing, improved health.